September’s coloring tribe theme was cat coloring pages. I am a self-confessed cat person, with crazy cat lady traits and simply adore all things cat related, so this month I was super excited to be challenged to creating a free cat coloring page. However, my adoration for cats made this challenge extremely challenging, for I wanted to capture their personality, playfulness, elegance, a sense of independence and of course all the beautiful patterns and textures that can be found within luscious furry coats. I’m sure you will agree, I probably put myself under far too much pressure. Subsequently, and I’m not afraid to admit it, I enlisted the help of a very clever artist to assist with translating the image I had in my head onto paper and I simply adore the end result! Our playful cat can be downloaded with a quick click of the link found below! 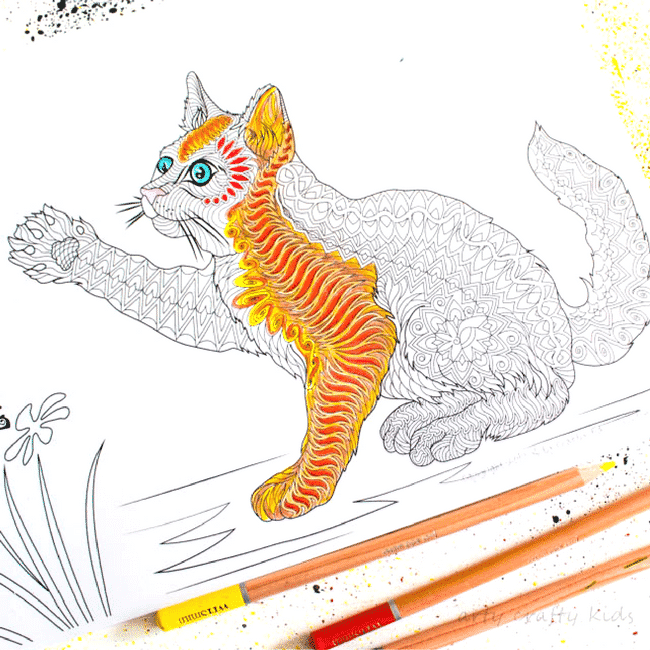 More Free Cat Coloring Pages from the Coloring Tribe! 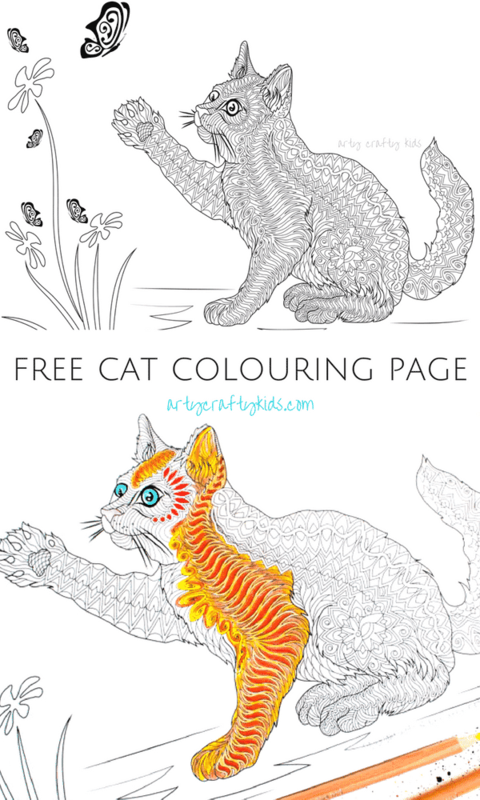 I hope you enjoy all of this months cat coloring pages and the added extras – I think they’re just purrrfect!